Remember one of the best ways to customize the operating is to use your own theme. You can choose a light theme for Windows 7 White Themes for Windows 10 7 White Themes for Windows 10 Tired of your dark Windows theme? Maybe it's time for a change. In this article, I'm going to introduce you to the seven best white themes for Windows 10. Read More or a dark theme for Windows Prefer Dark Themes? 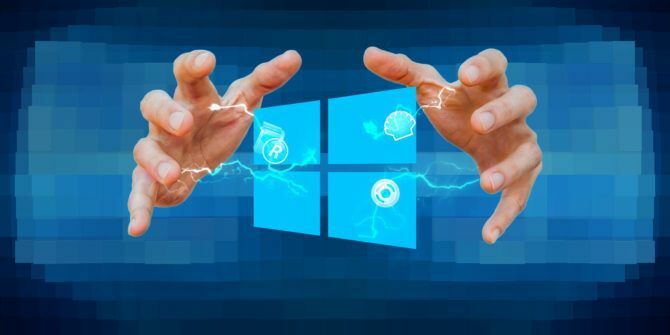 7 Tips to Make Your Windows Desktop Even Darker Prefer Dark Themes? 7 Tips to Make Your Windows Desktop Even Darker Dark colors can help with eyestrain and they're stylish too. A dark Windows theme is a good start. We show you how to make your Windows desktop as dark as possible. Read More . The feature I miss is the ability to make application window borders wider. I find the Win 10 default to narrow. On my system it is hard to place the mouse pointer exactly to be able to easily resize windows. Had same issue, but the drive was working well on other pc but refuse to show on one of my pc. 1. go to cmd and type "diskpart"